The Tamilnadu school education board (TN DGE) has released HSE first year board exam hall ticket March 2019. Plus one private candidates those who applied successfully can download your 11th public exam admit card from online at www.dge.tn.gov.in. 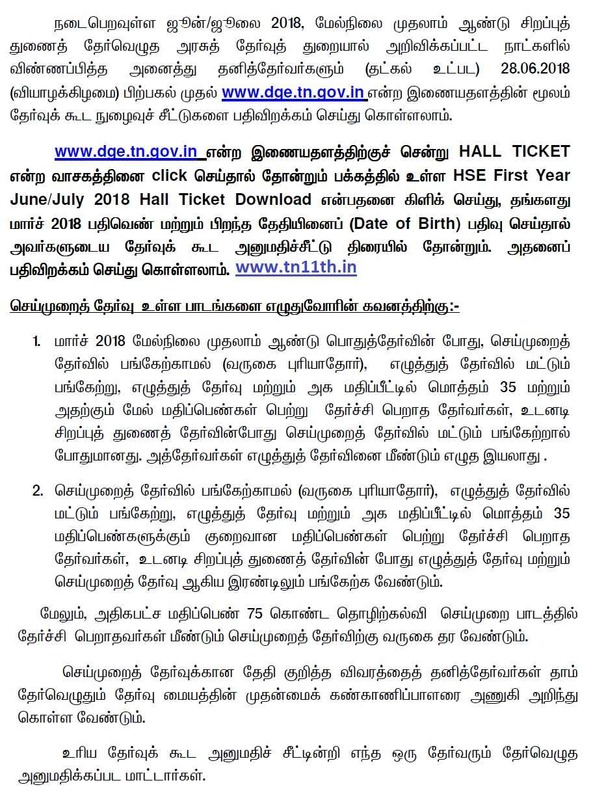 Just enter your application number and date of birth and download Tamilnadu 11th hall ticket 2019 as a pdf file. The Directorate of Government Examination, Tamil Nadu has announced public examination for 11th standard. So it requested private exam March 2019 application form from private candidates. Now TNDGE has published +1 hall ticket June/July 2019 on the official site. Private students need to download TN HSE 1st year hallticket and verify your exam centre, name, photo, date of birth, applied & subjects. 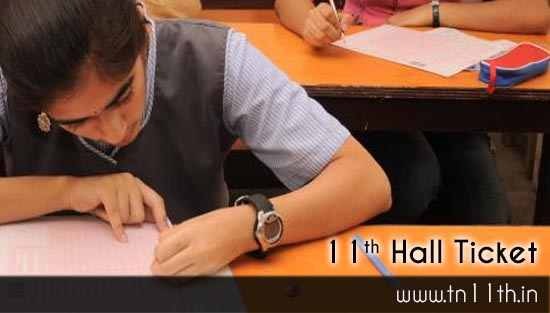 If you have any mistakes in hall ticket, immediately contact government exam centre where you applied for 11th std public exam. The TN education board also conduct supplementary or attempt exam for the students who can’t get pass mark in public exam in the month of June/July and September/October 2019. Students can also write attempt exam for failed subjects in March / April 2019 along with 12th public exam. Students are advised to download your hall ticket for private exam prior to exam date and then check plus one time table 2019 carefully. Prepare for your board exam using online study materials. Download 11th books as pdf format. You can also get plus one syllabus, blueprint and previous year question papers for Tamil & English medium. The DGE board already released schedule of publishing 11th public exam result 2019. As per the plan TN plus one result March 2019 is going to be released on May 2019.